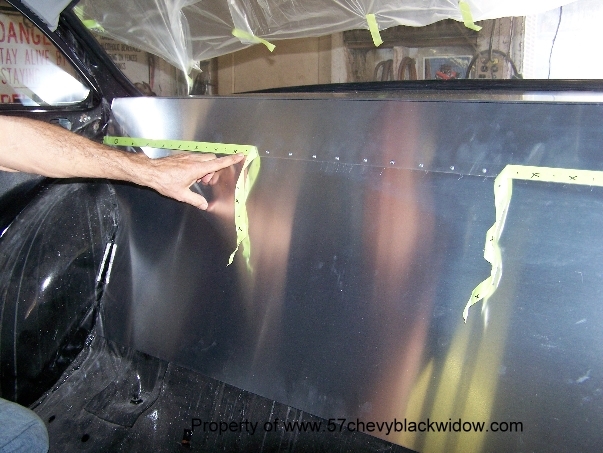 "Old Guy Scott" chooses Aluminum to panel the rear compartment, this was standard practice back then. 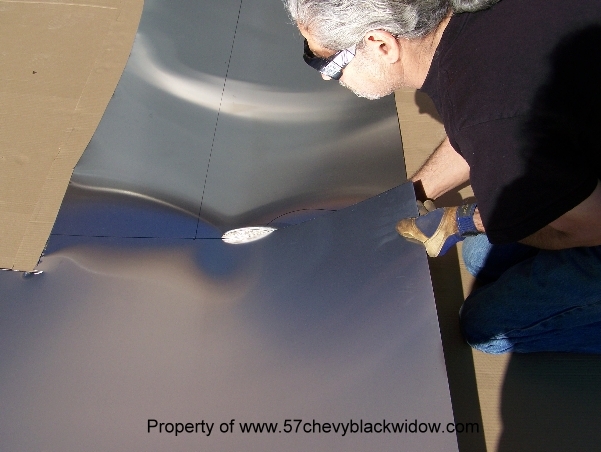 Photo #562 thru #564 shows how to lay out and cut the pattern. 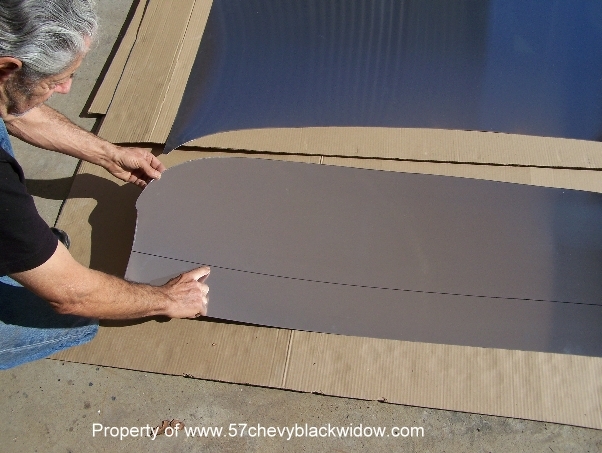 In Photo #563 the photo shows the line where you bend the package tray panel to fit vertical panel. 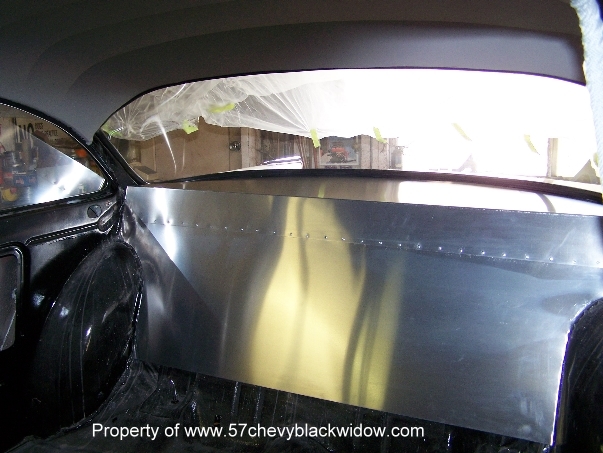 Next in photo #565 you lay out masking tape to mark where to drill the rivet hole. Starting in the center rivet in outward directions to avoid warping the finished product, photo #567.